Home » Baha'i » Release Bahai 7 now! May 14th is the eighth anniversary of the incarceration of seven Baha’i leaders in Iran, who have been jailed for no reason other than their membership in the Baha’i Faith and their service to the Baha’i community. 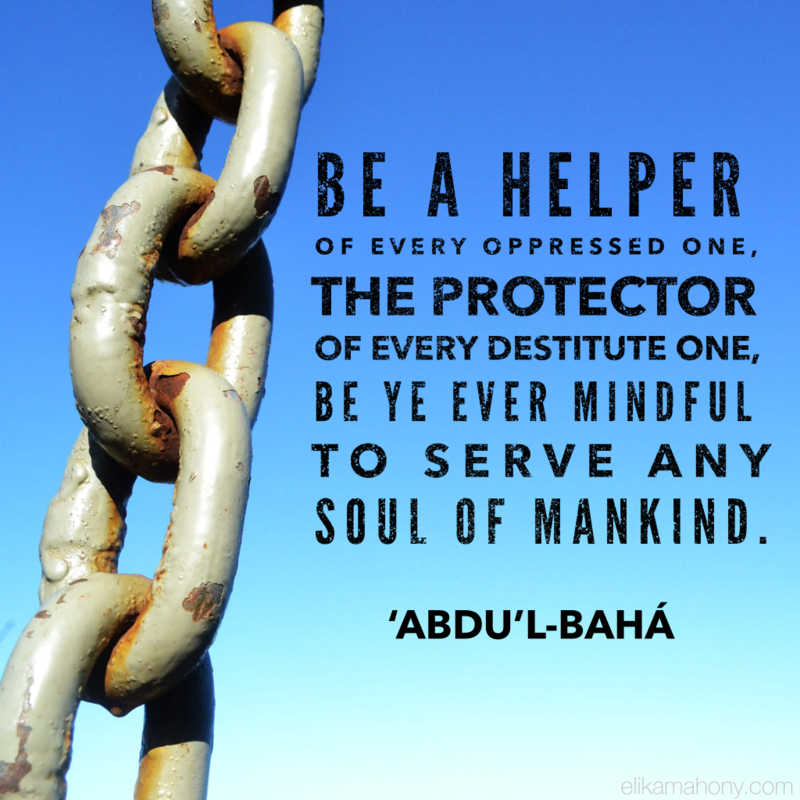 I found a beautiful quotation from Abdu’l-Baha about being ‘a helper of every oppressed one…’ (see photo below). Kindly share with others so we can spread the word. To learn more about the ‘Yaran’ (7 leaders) who have been imprisoned, click here. To get involved and help take action, click here. To listen to a song I recorded a few years ago in honour of the Baha’is in Iran who are being persecuted, listen below. The song is titled, ‘Persecution’. To watch the moving video, click here.